The photolysis of pyrene (Py) in the presence of acetic acid (AA) occurs through a radical mechanism and is faster than in organic solvents (methanol). 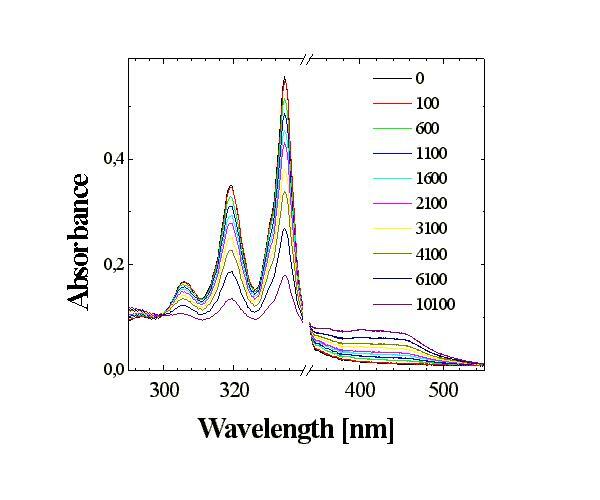 PyH·(absorption maximum in the UV/VIS spectra lmax = 395 nm in AA, lifetime t = ~2 m s in oxygen-saturated AA) was identified as an intermediate. Absorption of a photon by ground state of Py leads to the formation of excited states (1Py* and 3Py), which deexcite to the ground state without chemical changes. Singlet oxygen 1O2 formed by energy transfer from 1Py* and 3Py to dissolved oxygen does not react with Py. PyH-· and PyH+· were not found following excitation under the given conditions. The rate constant of photolysis can be considerably increased by addition of water and hydrogen peroxide. The accelerating effect of hydrogen peroxide consists in photolytic formation of reactive hydroxyl radicals, which attack the fused benzene rings. Polycyclic aromatic hydrocarbons (PAH) and their derivatives constitute one of the largest groups of chemical carcinogens and mutagens . These are primarily anthropogenic pollutants that enter nature from industrial exhalations. The chief sources of PAH consist of household heating by coal, coal-fired power stations, automobile traffic, cigarette smoke and emissions from waste incineration plants. PAH with polar substituents were found in natural waters; the less polar compounds are important contaminants in sediments, soils and sludges . The enhanced phototoxicity of PAH consists in the formation of reactive oxygen species via energy transfer from excited PAH states, which produce toxicity through oxidative stress . Consequently, there is an increasing demand for the determination of trace concentrations of these substances and removal from the natural environment. Several chemical methods have been proposed and tested . These methods are based on chemical oxidation, e.g. using potassium permanganate in acidic and alkaline media, using concentrated sulfuric acid or by direct ozonation or catalytic oxidation methods. Although UV radiation in small amounts, e.g. in sunlight, can lead to increased toxicity of PAH and the formation of more toxic species, irradiation with artificial sources with higher power in the presence of radicals could lead to decomposition of the fused benzene rings. Methods based on photolytic degradation could be both effective and easy. In addition, information on the photolytic destruction of environmental carcinogens obtained during the development of these methods can be useful in elucidation of the fate of these substances in the environment. This poster is concerned with the effect of the surrounding medium (solvent) on the rate and mechanism of the photolysis of pyrene (Py) as a model compound of the PAH group. 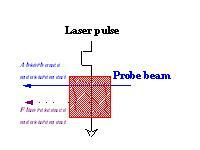 Attention is paid to the initial phase of the process (to several ms following absorption of a photon), when the very stable aromatic skeleton of Py is broken. The mechanisms of photolysis are studied primarily by methods of time-resolution spectroscopy, which permit monitoring of the individual intermediates formed following excitation of Py. 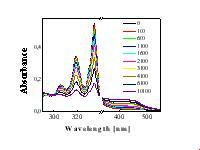 Rate constant of photolysis of Py, kpyr, is strongly influenced their environment. kpyr is four times higher in AA than in methanol and increase significantly in the presence of water and hydrogen peroxide, which is source of reactive ·OH radicals (Table 1). 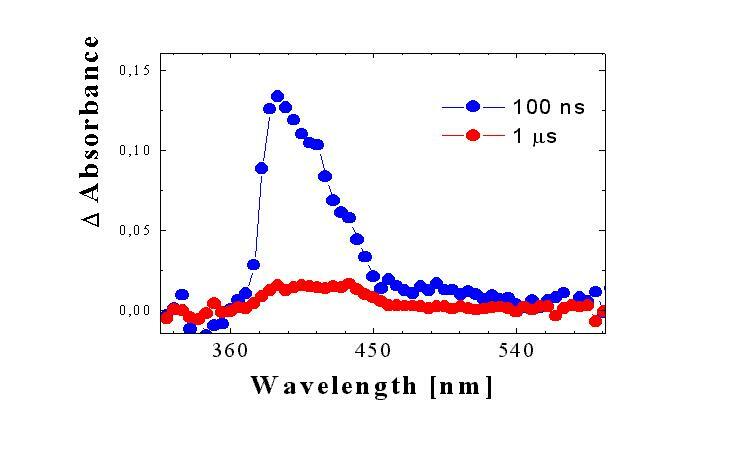 Continuous or pulse irradiation yielded products with identical UV/VIS spectra and the same order of relative kpyr values. No induction period was observed. The products of photolysis are different in these two cases: in methanol (organic solvent), primarily products absorbing in the UV region are formed (not shown), while also products, apparently of the quinone type, absorbing in the 400 - 500 nm region are formed in the presence of AA (Figure 2). Mechanismus of the formation of 1Py*, 3Py and 1O2 after absorption of a photon in organic solvents is extensively described in literature [8,9] (Eq. 1-3). The quantum yield of 1O2 ( FD) for Py in methanol is greater than 0.6 . Thus, if O2 is formed only by energy transfer from 1Py* and 3Py(FD< 1), the increase of kpyr in presence of AA and H2Oby two orders of magnitude (Tab. 1) cannot be explained. For this reason, Py in the ground state, 1Py* and 3Py do not significantly react with O2 in either the ground state or in the excited 1Dg state. The different reactivities of 3Py nad PyH· can be demonstrated in oxygen-saturated AA (Fig. 4), where lifetime of 1Py* and 3Py is less than 250 ns. 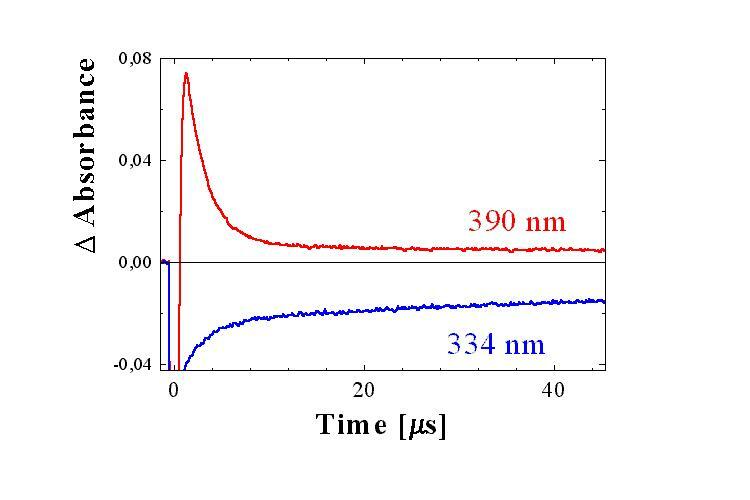 At times longer than 1 m s following the laser pulse, the concentration of the ground state of Py (formed by deexcitation of 1Py* and 3Py) no longer increases (see points A in Fig. 4a). The changes in the absorbance DA (Fig. 4a) is constant and is caused by formation of products absorbing at higher wavelengths. Thus, PyH· , which is still present on the microsecond time scale, decomposes further to form products or reacts with AA by a radical reaction, but not with formation of the ground state of Py. At times longer than 8 ms, D A (Fig. 4b)no longer changes at a wavelength of 390 nm. The increase in absorbance D A compared to the value prior to the laser pulse is caused by the formation of the final products (Fig. 2c). 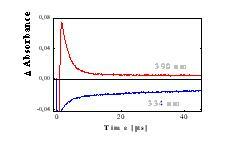 The decomposition of Py in oxygen-saturated AA is thus terminated within a time period of 10 ms after photon absorption. In He-saturated and partially in air-saturated solution are PyH· overlapped by band of 3Py , but the photolysis occur by the same mechanism (Fig. 5). Pyrene radical PyH· is an intermediate in photolysis of pyrene in acetic acid by UV radiation. Lee M.L., Novotny M.V., Bartle K.D., Analytical Chemistry of Polycyclic Aromatic Compounds. Academic Press 1981. Kosian P.A., Makynen E.A., Monson P.D., Mount D.R., Spacie Ann, Mekenyan O.G., Ankley G.T. (1998) Application of toxicity based fractionation techniques and structure-activity relationship models for identification of phototoxic polycyclic aromatic hydrocarbons in sediment pore water. Eviromen. Toxicol. Chem. 17: 1021-1033. Ito T. (1978) Cellular and subcellular mechamism of photodynamic action. The 1O2 hypothesis as a driving forces in recent research. Photochem. Photobiol. 28: 493 – 508. Madsen T., Kristensen P. (1997) Effects of Bacterial Inoculation and Nonionic Surfactants on Degradation of Polycyclic Aromatic Hydrocarbons in Soil. Environ. Toxicol. Chem. 16: 631 - 637. ]Kubát P., Jirsa M., Zelinger Z. 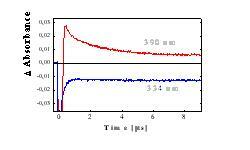 (1997) The Effect of the Irradiation Wavelength on the Processes Sensitized by Protoporphyrin IX Dimethyl Ester. Radiat. Res. 148: 382 - 385. Hsiao H.S., Weber S.E. (1992) Triplet state electron transfer from antracene and pyrene covalently bound to polyelectrolytes. J.Phys.Chem. 96: 2892 - 2901. Okada T., Karaki. I., Mataga N. (1982) Picosecond laser photolysis studies of hydrogen atom transfer reaction via heteroexcimer state in pyrene primary and pyrene-secondary amine systems. J.Am.Chem.Soc. 104: 7191-7195. 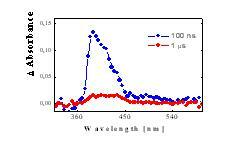 Carmichael I., Hug G. L. (1986) Triplet-Triplet Absorption Spectra of Organic Molecules in Condensed Phases. J. Phys. Chem. Reference Data 15: 1 - 250. Wilkinson F., Helman W. P., Ross A. B. (1993) Quantum Yields for the Photosensitized Formation of the Lowest Electronically Excited Singlet State of Molecular Oxygen in Solution. J. Phys. Chem. Ref. Data 22: 113-262. 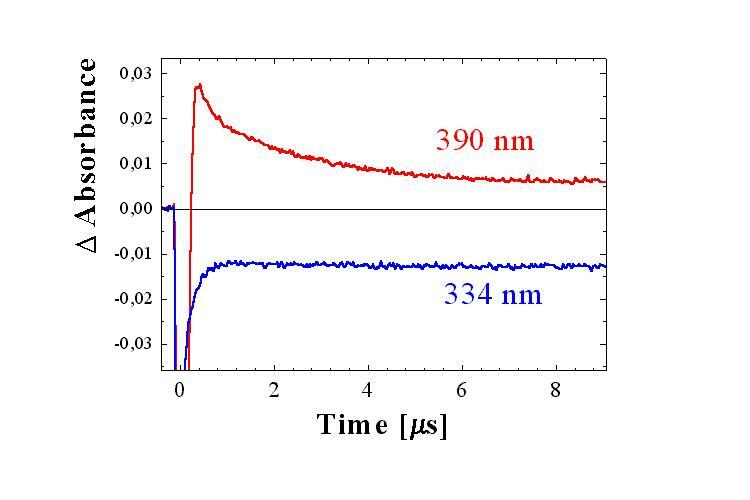 Asahi T., Mataga N. (1992) Femtosecond-picosecond laser photolysis studies on dynamics of excited charge transfer complexes. J.Phys.Chem. 95: 1956 -1963.